Have You Had a Tattoo That's Gone Wrong? Looking for someone who is willing to pay $40 for a weekend of fun as a contestant on a fan-made version of 'Survivor' in Melbourne's east. 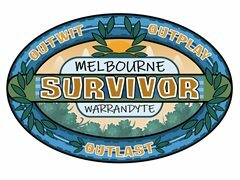 It will be filmed and published as a webseries, which will be titled "Melbourne Survivor: Warrandyte"
Production dates are the 8th-10th of March. Starting on Friday the 8th at around 5pm and ending Sunday the 10th around 5pm. You'll also be asked to come to the Finale, where the last episode will be shown. This is likely to be sometime in September, and has no extra cost. You'll receive plenty of notice, and will have some input in setting the date.